We provide a range of therapeutic services tailor made to each individual. 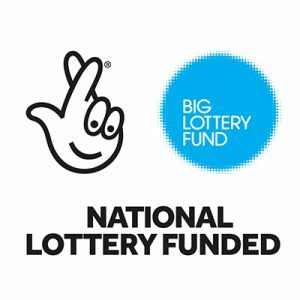 Following an initial assessment, goals and aspirations are established in conjunction with the client to achieve a completely person centred programme. An individual programme can include a variety of meaningful activities on the farm from care of the animals, gardening, conservation, wood work or just being in a relaxing environment and allowing nature to do the hard work. Our specialised programmes are very effective with clients requiring a higher level of support or have very complex physical or mental health needs. This course aims to provide individuals (no upper or lower age limit) with a supportive environment in which they can develop as a person at a pace that suits them and in a way that is meaningful to their lives. Our trained staff use the everyday running of the farm as a way of enabling individuals to develop key skills that will benefit them in all aspects of daily living. This could be anything from learning how to cope in a social situation to improving their ability to follow and understand instructions in a working environment. We aim to provide a very person centred service where individuals feel safe and respected. Opportunities exist where appropriate for individuals to gain some accreditation through ‘Gateway Qualifications’, this is entirely optional. Working with the livestock; Helping with the woodland management; Site and garden maintenance. What can it lead on to? For some it could offer a way into volunteering / further work experience within their local community. It could perhaps be a stepping stone for some onto further learning or to build confidence in their own educational setting. It can also help individuals gain skills to participate in other outside opportunities and activities. Equine Assisted Psychotherapy (EAP) is a collaborative effort between a mental health professional and an equine professional working with clients and horses to address treatment goals. Equine Assisted Learning (EAL) works in a similar way, with a focus on personal, professional or organisational goals. 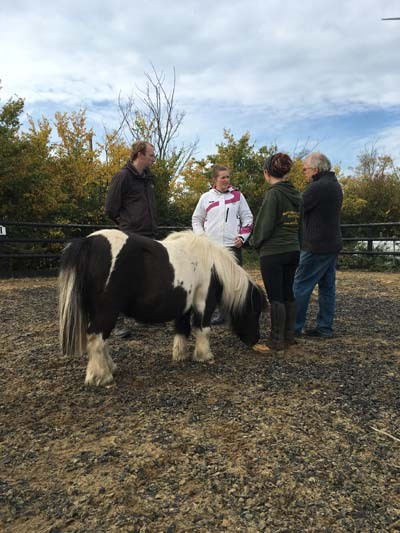 A Team Approach – an equine professional, a mental health professional and horses work together with you in all sessions. Ground Focused – no riding is involved. You learn about yourself and others by participating in activities with the horses and then discussing or processing feelings, behaviours and patterns which have emerged. Person Centred – rather than instructing or directing you towards change, we invite you to experiment, problem solve, calculate risk, employ creativity and find your own solutions which work best for you. Ethical – we adhere to both the EAGALA and the BACP code of ethics, ensuring best practice and the highest level of care. Horses have many characteristics which lend them to being effective agents of change, including honesty, awareness, and very clear non verbal communication. Naturally intimidating to many, horses are large and powerful with an innate herd instinct – a desire to belong. Horses are open to being in a relationship. This creates an opportunity for us to overcome fear and develop confidence as we negotiate the boundaries of this relationship. Working alongside a horse, in spite of our fears, provides helpful insight when dealing with other challenging and intimidating behaviours. Like us, horses are social animals with defined roles in their herds. They have distinct personalities, attitudes and moods – an approach which works with one horse won’t necessarily work with another. At times they may seem stubborn and defiant. They like to have fun. In other words, horses provide many opportunities for metaphorical learning – an effective, challenging but non confrontational technique when working with the most challenging of individual or groups.